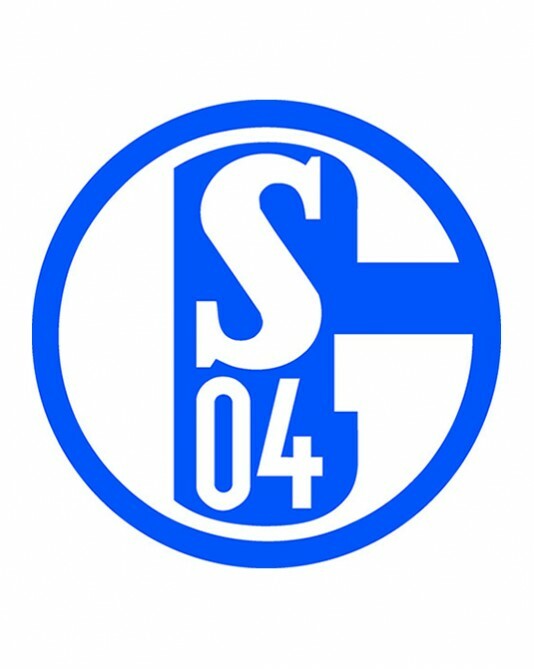 Schalke 04 is a German sports club founded on 4 May 1904 as Westfalia Schalke by a group of neighborhood schoolboys in Schalke, Gelsenkirchen, North Rhine-Westphalia. Schalke 04 played in the Bundesliga Germany and the largest part of the sports club with more than 100 000 members (til August 2011), making it the second largest sports club in Germany. 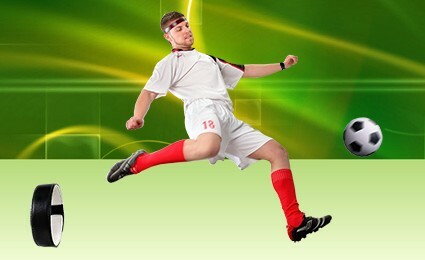 Other popular sports, developed by the sports club Schalke 04 are basketball, handball and athletics. 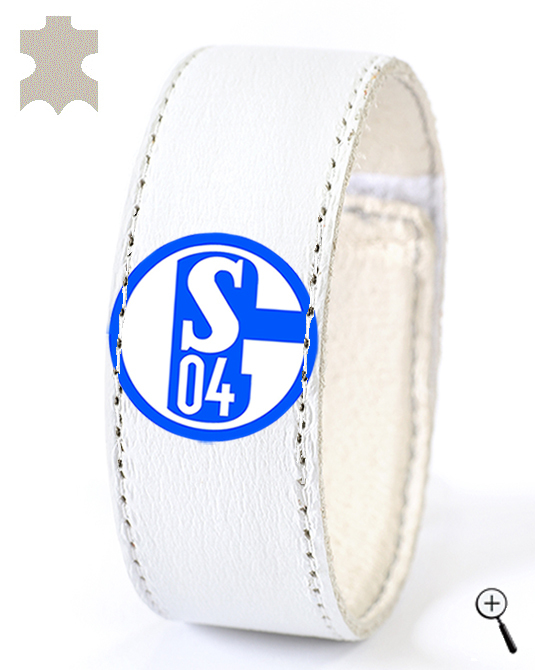 With its success in the period 1930 - 1940 Schalke 04 became one of the most popular football teams in Germany. In 1934 Schalke 04 won its first national title with a 2:1 victory over Nürnberg. The following year, Schalke 04 successfully defended its title against Stuttgart in the win 6:4. Schalke 04 triumphed in the national finals in 1937, 1939, 1940 and 1942. 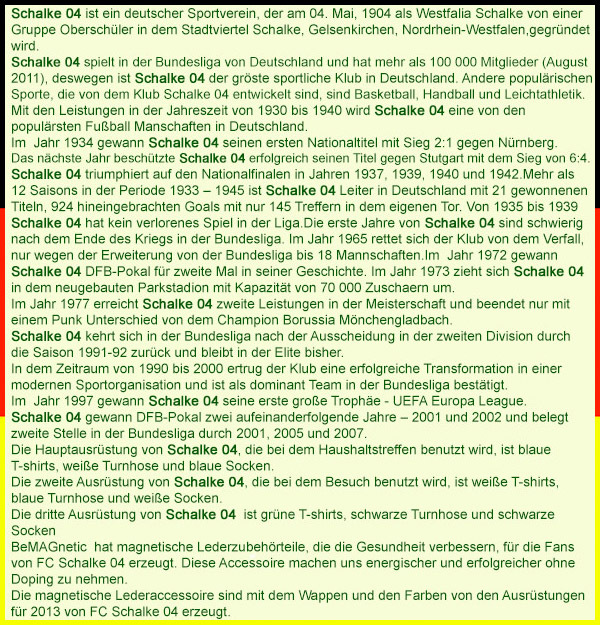 More than 12 seasons in the period 1933-1945 year Schalke 04 is a leader in Germany by winning 21 titles, scored 924 goals in just 145 hits allowed in their door. From 1935 to 1939 Schalke 04 have not lost a single game in the league. The first years of Schalke 04 in the Bundesliga, after the war, are difficult. In 1965 the club was saved from dropping out of the Bundesliga only because of an extension to 18 teams. In 1972 Schalke 04 won the German Cup for the second time in its history. In 1973 Schalke 04 moved to the newly Parkstadion with capacity of 70 000 spectators. In 1977, Schalke 04 achieved second result in the championship finishing just one point behind the champions Borussia Mönchengladbach. After dropping in the second division, Schalke 04 return in the Bundesliga in the 1991-92 season and remained in the top flight ever since. In the 1990s and early 2000s, the club underwent a successful transformation into a modern, commercial sports organization and established itself as one of the dominant teams of the Bundesliga. In 1997, Schalke 04 won its first major European trophy - the UEFA Cup. Schalke 04 won the German Cup in two consecutive years - 2001 and 2002 and took second place in the Bundesliga in 2001, 2005 and 2007. The home kit of Schalke 04 is a blue shirt, white shorts and blue socks. The away kit of Schalke 04 is a white shirt, blue shorts and white socks. The third kit of Schalke 04 is a green shirt, black shorts and green - black socks. 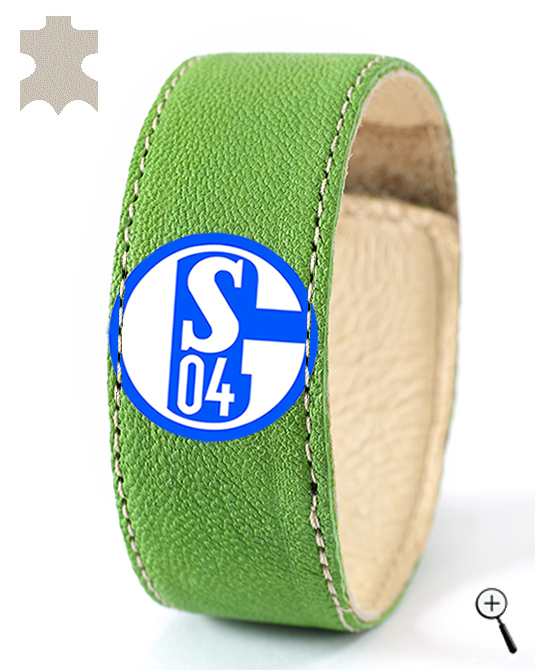 BeMAGnetic design magnetic leather accessories for fans of Schalke 04 that improve health and make people more energetic and more successful without doping. 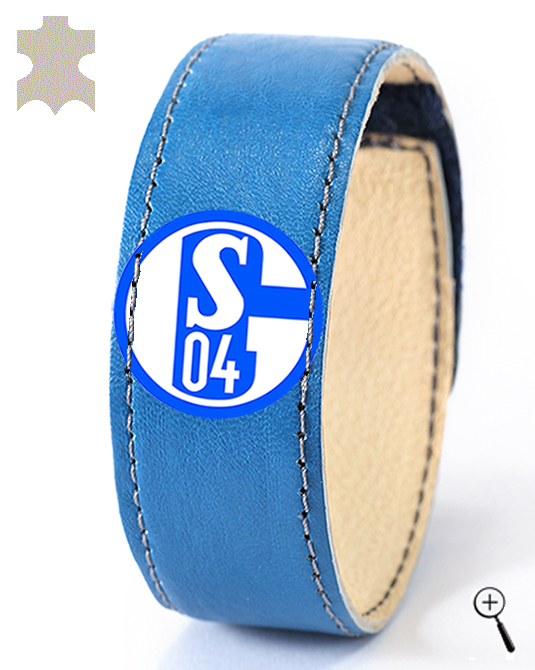 The magnetic leather accessories are made with the emblem and colors of the three kits of Schalke 04 for the year 2013.